A group of taxi drivers, plying their trade with students busy with registration at the Namibia University of Science and Technology in Windhoek, arrested an armed man after he attempted to rob one of the female students. 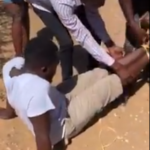 The armed robber accosted a young woman as she left the campus after registering for her courses for the academic year ahead and threatened her with a knife. He allegedly demanded that she hand over her cellular phone. The student starting yelling for help and the taxi drivers, who were waiting nearby for fares, came to her aid immediately. They subdued the armed man on the sidewalk and bound his legs with strips of cloth or plastic to keep him from escaping the long arm of the law. 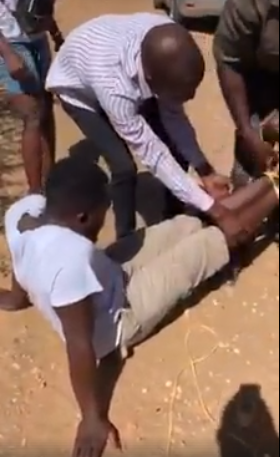 The incident was reported to the Windhoek City Police and officers arrived on the scene of the citizen’s arrest by the group of taxi drivers shortly after and took the armed thug into custody.